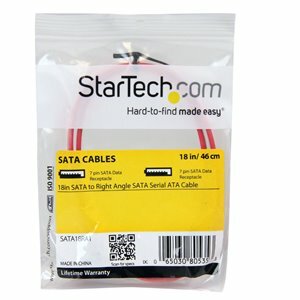 Startech Right-Angle 18in SATA Cable - Boom I.T. Right-angled SATA connector easily fits into hard to reach areas and tight spaces, providing flexibility to position your SATA drive as needed within your system case. 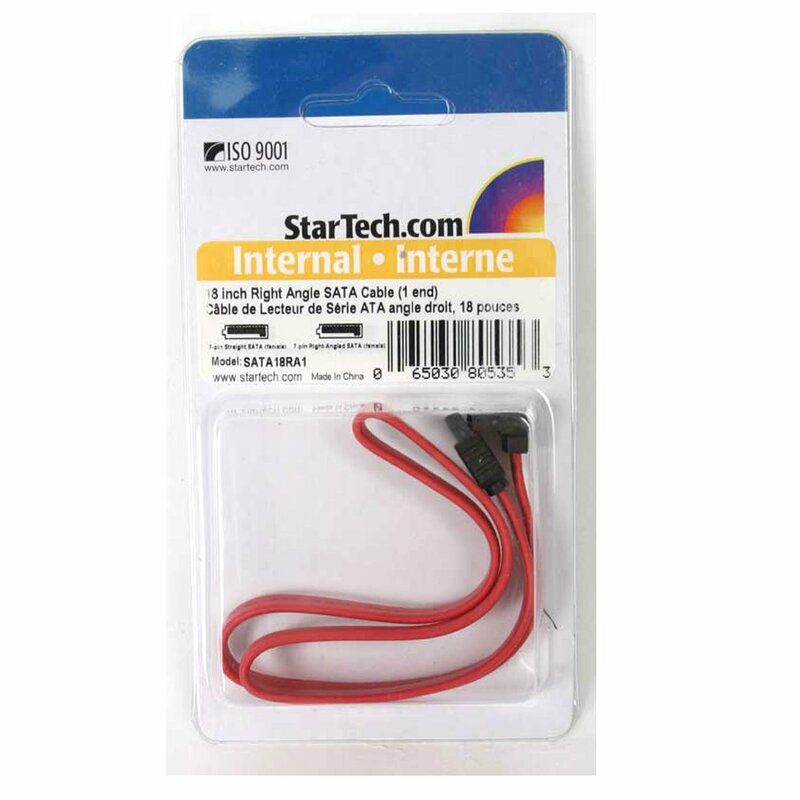 Features a thin cable design, which helps reduce clutter and increase airflow within the computer/server case, for optimum system performance. 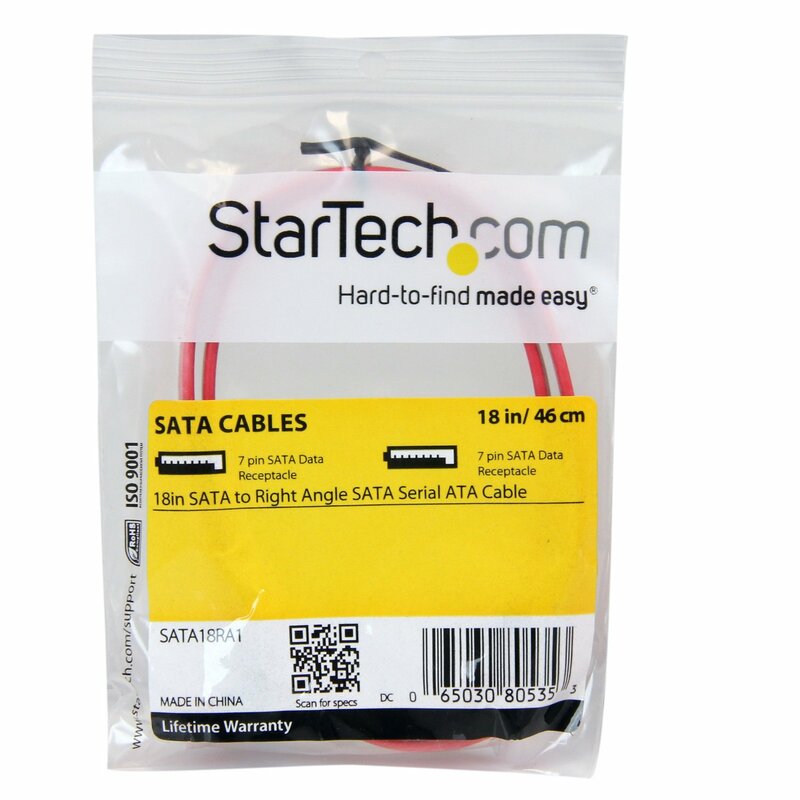 FAST DATA TRANSFER RATE Compliant with Serial ATA III Specifications, the StarTech SATA18RA1 provides a fast data transfer rate of up to 6 Gbps and ensures maximum performance. DESIGNED TO IMPROVE SYSTEM AIRFLOW AND ROUTABILITY The right angled cable connector easily fits in hard to reach areas and tight space. 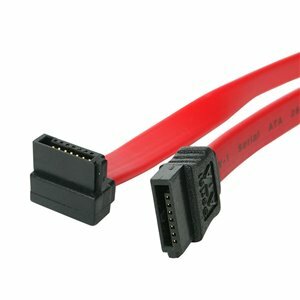 And this 18-inch Serial ATA cable is thinner and more flexible to connect inside the system and improves airflow.